Hard to keep up with whirling dervish Cara Delevingne. When she's not working the catwalks of New York, London, Milan and Paris, she's staring back at you from the cover of Vogue, or naked in a bath on the cover of LOVE. One minute she's wearing matchy-matchy T-shirts with her new BFF, Rihanna tribute act Rita Ora; next she's moving in with fellow posh model Georgia May Jagger. And now she is apparently planning to play summer houseguest to the real Rihanna. 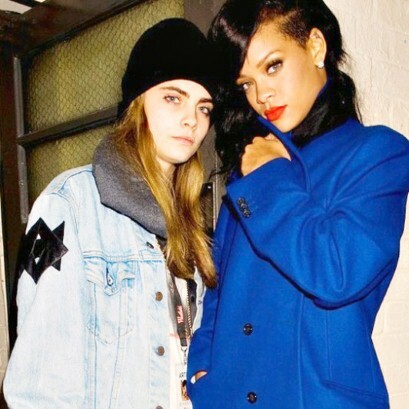 With the equally hectic Rihanna busy on her Diamonds world tour, there will be plenty of space at the mood-lit poolside for Cara's ever-growing circle of friends to party through the night (the average 20-year-old model's preferred method of R&R), and recuperate the morning after in the Jacuzzi with cocktails from the outdoor bar.